Did you get engaged this holiday season? …because an engagement ring is always a perfect gift! ABC News had it right – ‘Tis the Season to get engaged! Amongst all the hustle and bustle of the holiday season, we managed to fit in some special time with our families and friends. It’s always so touching to watch the children as they open their presents, eyes as wide as the saucers that held the cups of eggnog and freshly baked cookies. And most of us know that Christmas is the holiday for children, with images of a jolly fat man who ventures out once a year to spread joy to those small humans that have managed to be good all year. The happy holiday season is one of the most popular times of the year to pop the question to your loved one. If you were one of the lucky ones that received an engagement ring and were proposed to under the mistletoe, we say congratulations! Now what?! You’re planning the wedding as we speak, I suppose. Grandiose to simple…many decisions have to made…and it can be overwhelming. How many guests, what venue should we choose, who will officiate, what’s my theme? Do I dare wear WHITE!?! Of course you prefer the beach to the snow (sorry…we’re a little biased!) May we suggest an easy alternative…the Destination Wedding on one of the brilliant beaches of Florida? Beach Weddings are hugely popular because they are simple to plan, and simply beautiful. 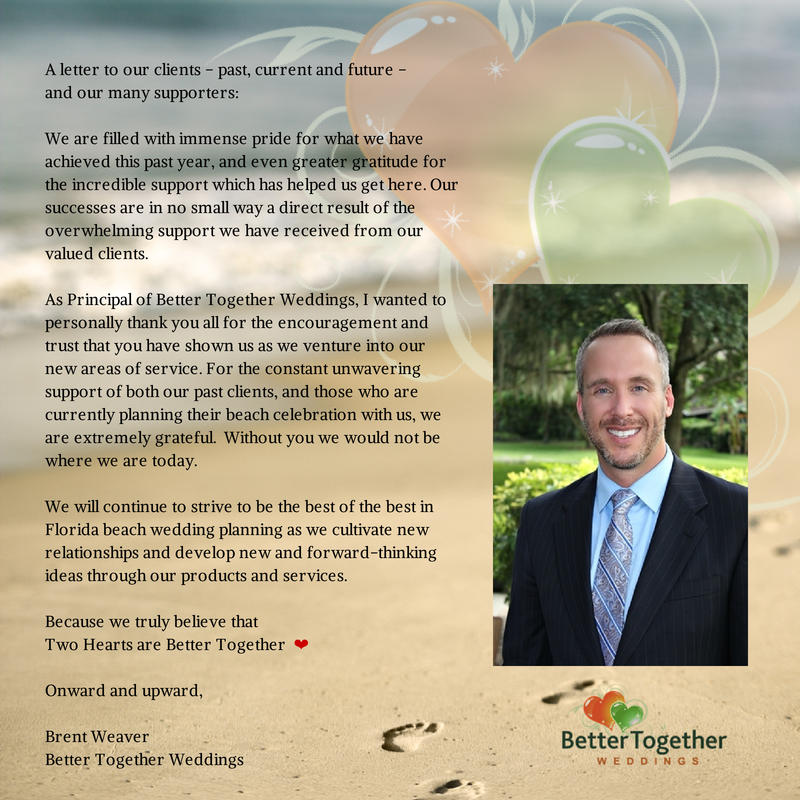 Better Together Weddings offers all-inclusive, package-based wedding solutions – you decide what decorations and extras are important to you, which beach community has caught your eye, and, most importantly, what date you should choose. Fill out the reservation form, pick your all-inclusive package and secure your date with a small deposit and you’re done. You simply show up…and the beach will be ready for you when you arrive on your special day. It is said that nearly 26 percent of all engagements happen over the holiday season, in perfect time to book your spring destination wedding getaway. 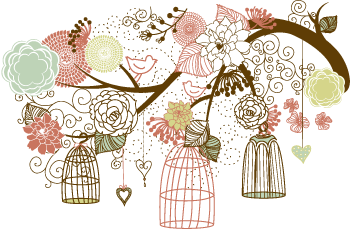 Secure your wedding date now…spring break is the most popular and book quickly! Here’s a link to our reservation form…see you at the beach!